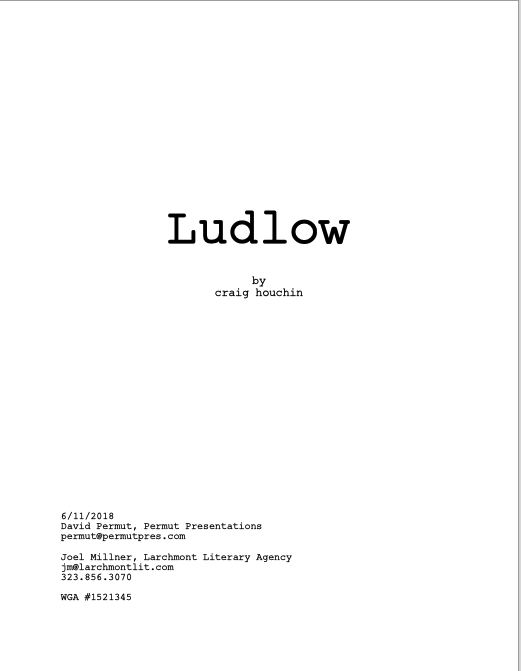 LUDLOW is a comedy-drama/road movie, set in the 1970s, about an alcoholic con man and sometime father with a troubled past who takes his three young daughters on a road trip vacation in a last ditch attempt to reunite his broken family. LUDLOW won First Place in the 2012 Final Draft Big Break Screenplay Competition and is currently in development with Permut Presentations. In the Arizona badlands along the US/Mexico border, two broken people - an aging, widowed rancher and a single-mother Border Patrol agent with a troubled young son - form a fragile father-daughter relationship that is severely tested when a deadly rip crew invades their home. 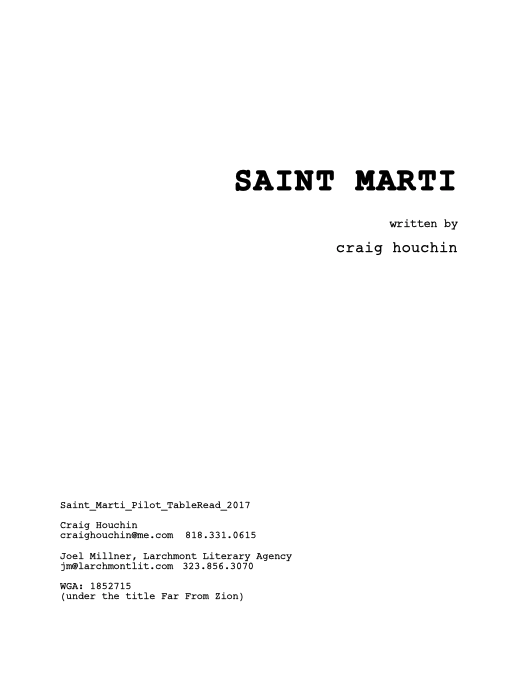 A recently divorced Mormon, single-mom with four kids, three ex-husbands, and an estranged father finds a job with a small-time private detective agency and gets in over her head when she stumbles upon and begins to unravel what turns out to be the largest Mexican Cartel money laundering operation in Utah history. 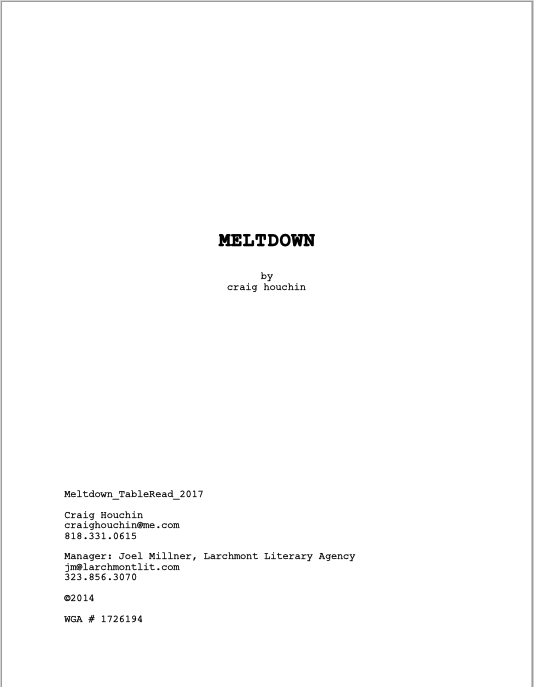 MELTDOWN is a detective thriller about a bigoted, working-class homicide detective on the trail of a killer who is knocking off “too big to jail” Wall Street bankers one-by-one, but as his investigation deepens, he begins to side with the killer’s brand of vigilante justice and questions whether he should be trying to stop the killer — or help him. 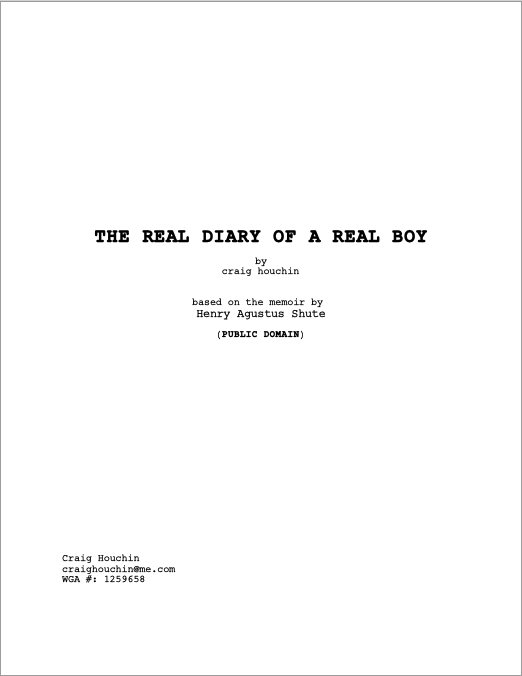 This light-hearted family comedy, set just after the American Civil War, follows the adventures an 11-year-old boy who is struggling to take on the responsibilities of growing up only to run into an unlikely obstacle — his father — who is struggling just as hard to hold onto his own boyhood. 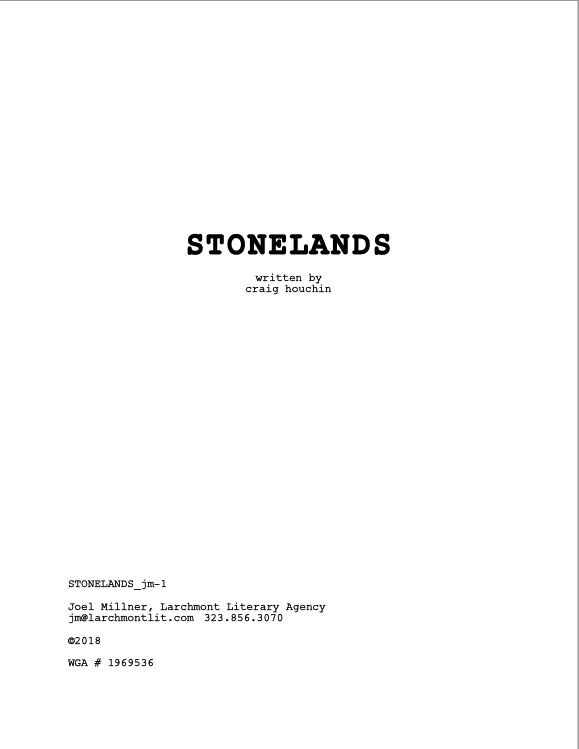 The screenplay is adapted from the 1902 book by the same name. The author, Henry Shute, was considered the "Mark Twain" of the Northeast for his vivid and humorous portrayal of small-town boyhood life. The book is in the public domain.